This is another post in my series about things that don't work -- or break. The City of New York has put cuts in the curbs at street corners, with the intent of making the sidewalks more handicap accessible. These curb cuts are supposed to be useful for wheelchairs, but they can also be useful for baby strollers and wheeled luggage. This seems like a great idea. Unfortunately, it seems that these curb cuts have become prime puddle location. 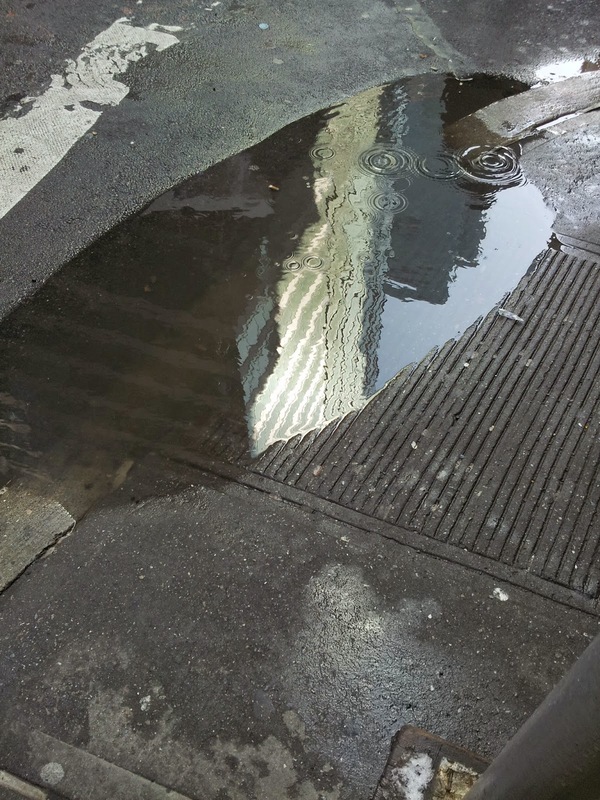 The following photos were taken at 7th Avenue and 41st Street on 3/21/15 at approximately 10:45 a.m. It had been snowing all day the previous day, so there were a lot of puddles, but both of these photos should show that the puddles are worse around the curb cuts. 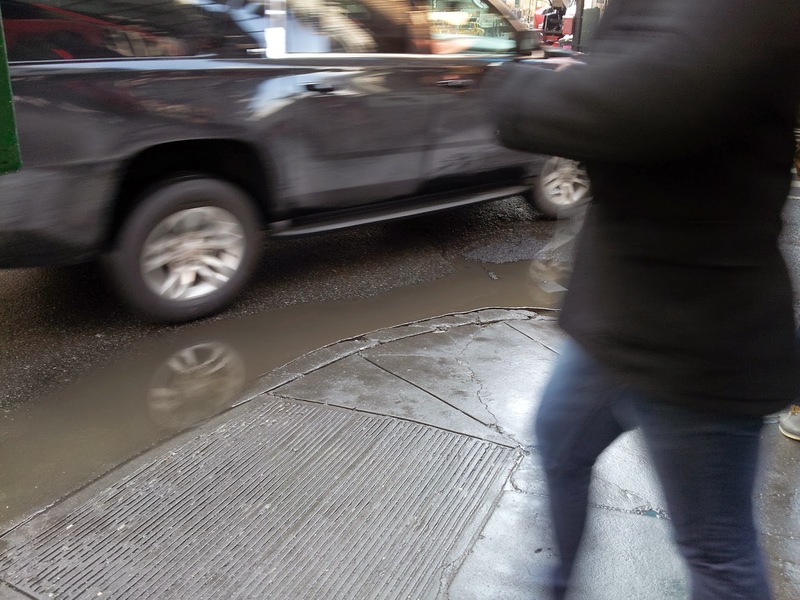 Moreover, on days where there are no puddles anywhere else, there are often puddles at the curb cuts. This doesn't seem very handicap accessible to me. 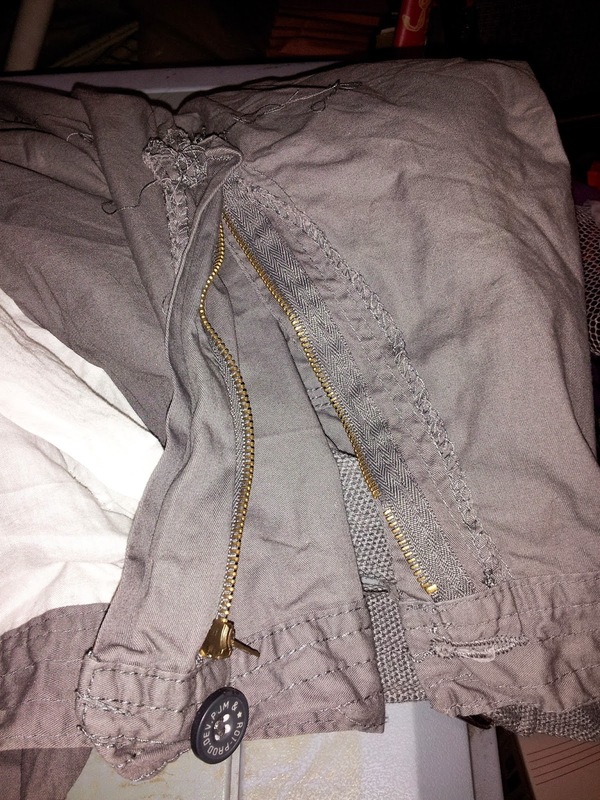 If you look at the right side of the zipper, about two inches from the end, you will see that this zipper has lost several teeth. As a result of the loss of teeth, the zipper pull came off the right hand track. Therefore it can't be zipped. This was a cheap pair of pants from Walmart -- brand "Lee Apparel." 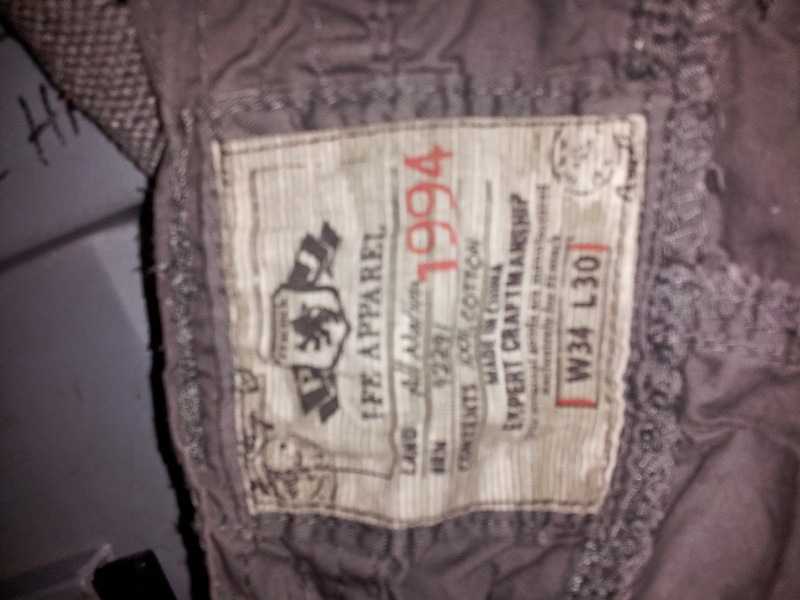 One doesn't necessarily expect superb quality from a discount store, but this pair of pants is less than six months old. I have to think that buying a more expensive pair would have paid off in longer life and therefore been worthwhile. I should note that this is not the only zipper which has lost teeth in my home. This didn't used to happen. Zippers did not lose teeth when I was a kid. Now we have planned obsolescence.